The Bull Shoals Dam is an important and unforgettable addition to the South Shore area. 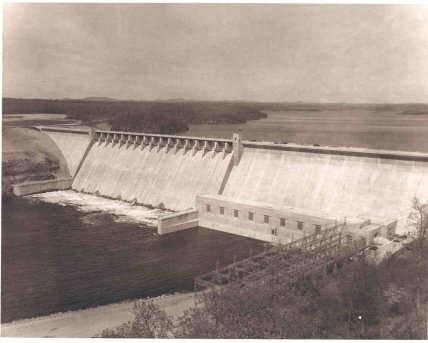 Construction of the dam started in June, 1947 and was finished by July, 1951. The dam offered a great economical boost during the great depression era. This was due to the many jobs the construction provided. This exhibit is about the history of the Bull Shoals Dam.